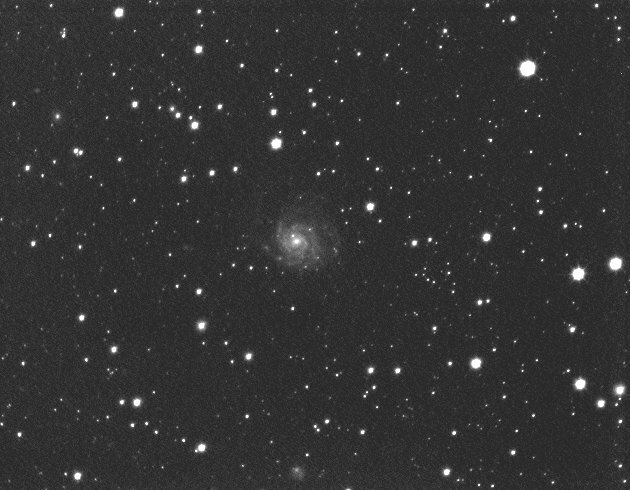 M101 is a large face on multiple spiral barred galaxy in Ursa Major ( The Plough ) . Exposure 80 mins total , 80 x 1 min unguided. First attempt at using a standard canon SLR lens attached to my hx516. The Astrovid adaptor had to be lathed down such that the focal point could be reached. Very happy with this shot & will be able to image M31 , M33 , M42 , the virgo cluster & others in one shot. I had to 1/2 close the shutter manually, as too much light caused the stars to seriously pinch on one side. No sharpening or any post processing on this image. Weather cool , no moon, seeing average until the clouds rolled in. 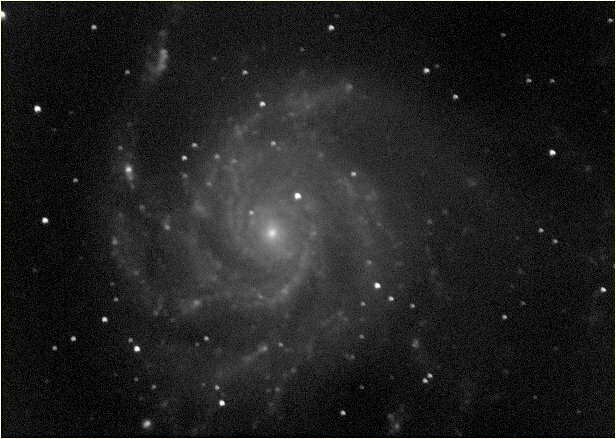 The negative image shows a few local fainter galaxies in the M101 group. 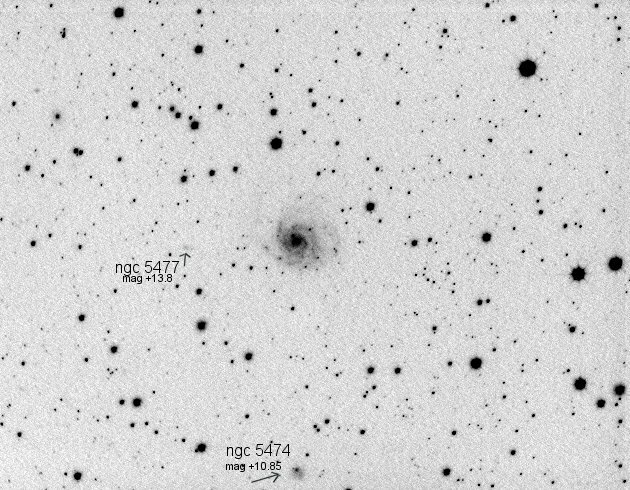 This was one of the calibration shots used in first light with the new MN-86. Poor polar alignment capability on the EQ6 ( no RA markings and skyscan still in the post ) resulted in only being able to take 20 sec subframes , and then the clouds rolled in, so the stacking does include frames I would not normally use.